Cancer Gets LOST at San Diego Comic-Con! If you’re planning to attend San Diego Comic-Con this week, or will just be in town for related activities – please join Cancer Gets LOST for a very casual fan meet-up on Saturday, July 22 from 4pm – 5:30pm outside of the San Diego Central Library (330 Park Blvd)! See map below. We were unable to afford or officially reserve a spot close to the Con for this small gathering, so we decided to set a public meeting place that was within walking distance of the Convention Center. The library is a block away from Petco Park, and we plan to meet outside in the library courtyard. Given that we have no way of anticipating library traffic and Con overflow crowds at neighboring events during that time, we may have shift (as a group) to a space in front of the library if need be! Whether you just want to meet fellow fans from a wide variety of fandoms or you’d like to donate an item you acquired from SDCC to CGL for a future charity auction (NO pressure whatsoever! ), we hope you can stop by. We will have CGL wristbands for everyone and random giveaways of items from your favorite shows (i.e. The 100, LOST, Orphan Black, Wynonna Earp & more; some signed)! Every year at SDCC, Warner Brothers has a lottery process for a limited number of fans to attend autograph sessions with their WB TV and film casts at their giant booth on the convention center exhibition floor. If you happen to receive a wristband for a WB signing and do NOT wish to keep the poster you are given to get signed, CGL would love any of these signed posters for future charity auctions! Just tweet us (@CancerGetsLOST) during the Con and we can try to arrange to meet you if you’re not able to join us at our meet-up on Saturday. Official SDCC 2017 autograph procedures/policies and schedule can be found here on their website. 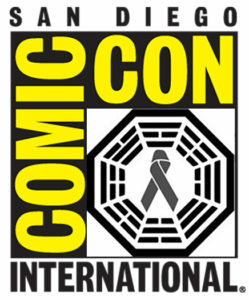  Honestly, if anyone at SDCC finds themselves with extra items from any popular shows or films – we would be honored if you considered donating them to Cancer Gets LOST! As always, we have no expectations and there is zero pressure to do so. If you would ever prefer to make a financial contribution to CGL in any amount, please visit our official Donation page for details. We will be hosting a huge online global CGL charity auction in the summer or fall of 2018 featuring rare and signed pop culture memorabilia, and will be donating 100% of the net proceeds to a designated cancer charity (TBD). We already have auction items from over 50 TV shows in that auction, and are always open to more of a variety! In October of this year, we will be on site in Hawaii to host a silent charity auction of LOST items at LOST 2017 (a fan event on Oahu), donating 100% of the proceeds to the Pancreatic Cancer Action Network. And as we did in early 2017, we are hosting another onsite silent charity auction of The 100 items at Unity Days 2018 in Vancouver – also donating 100% of the proceeds to PanCAN! 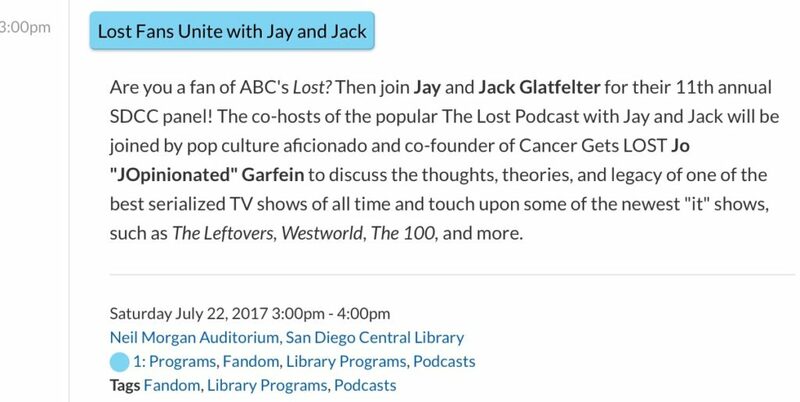 If you’re a LOST fan, join us at Jay and Jack’s annual SDCC LOST panel in the Neil Morgan Auditorium at the San Diego Library at 3pm, right before our CGL meet-up! We will be discussing the legacy of our favorite show, reminiscing about the early days of podcasting and theorizing, and sharing details about upcoming Cancer Gets LOST charity auctions! We look forward to seeing you at SDCC, and will be there from Wednesday – Sunday. Look for us and a few of our friends in Cancer Gets LOST shirts throughout the Con. Thank you so much for your ongoing support of our charitable endeavors! 2015 Cancer Gets LOST Charity Auction! Just a few of the items in our 2015 Cancer Gets LOST Charity Auction! We are excited to finally debut our 2015 Cancer Gets LOST charity auction on eBay, and have selected Alex’s Lemonade Stand Foundation as our charity of choice to receive 100% of the final sale proceeds! 2015 Cancer Gets LOST Charity Auction on eBay <– click here to view and bid! 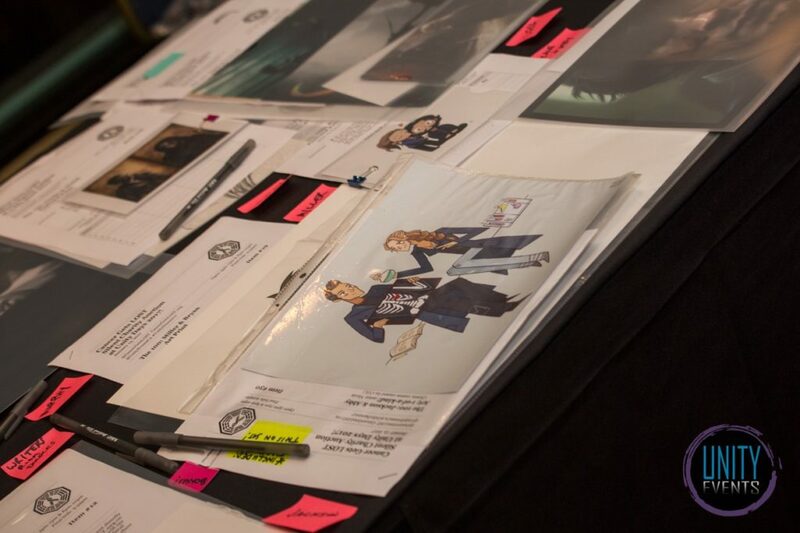 There is a variety of rare and signed memorabilia in this auction from your favorite shows like The 100, Breaking Bad, Fear the Walking Dead, Fringe, Game of Thrones, LOST, Once Upon a Time, Orphan Black, The Walking Dead and more. In addition, we are absolutely thrilled to be featuring a very rare Star Wars: The Force Awakens 2015 Star Wars Celebration poster signed by Mark Hamill (Luke Skywalker)! A sincere note of gratitude to all who donated items to CGL for the auction; their names are noted within item descriptions. A few logistical housekeeping notes, if you’re interested in bidding on any items – as this particular CGL auction is on eBay and different from any we’ve hosted before. CGL has selected the terrific childhood cancer organization Alex’s Lemonade Stand Foundation as our charity of choice, to receive 100% of the final sale proceeds from this auction. * You will see in each auction listing that 100% of the final sale price of each item will support FJC – A Foundation of Philanthropic Funds. FJC is Cancer Gets LOST’s official fiscal sponsor! Thus, 100% of the final sale price from each item will be donated to Alex’s Lemonade Stand Foundation via FJC at the end of this auction. The PayPal Giving Fund will process your donation, distribute the tax receipt and pay the donation to FJC upon completion of payment for your item. **Your item will ship within 10 business days after the PayPal Giving Fund receives your cleared payment. Due to the upcoming Thanksgiving holiday, you will note that I specified an extended handling time for all items. I aim to get you your items before Christmas (domestically; I can’t guarantee for international shipments), but please be patient – as this is a one-person operation! The auction taking place now is rather small, but stay tuned for our massive 2016 charity auction (launching on 8.15.16) – because we are expecting to feature around 500 items from over 30 television shows and 10 films! Not interested in bidding on any items in this auction? Might I suggest that you consider a small donation to Cancer Gets LOST before the end of 2015? If you’re so kindly inclined, there is a PayPal button on the upper top right of our CGL site for your convenience. Thank you in advance for participating in the auction, and for supporting both our endeavor and the amazing cause! 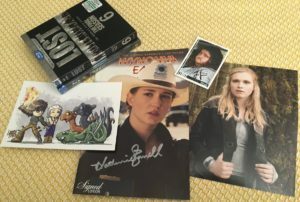 The 2019 CGL Conageddon2 Online Charity Auction! 2018 CGL Charity Auction Donation & Thank You! 2018 Cancer Gets Lost Online Charity Auction Details! CGL Charity Auction at Unity Days 2018! Donating to Cancer Gets LOST! Choose Kindness: CGL Partners with Fangirl Shirts for Fundraising Campaign!